Nazi | I hope to be remembered for my atrocities! These men were part of Operation Greif (Griffin). From left to right are Schmidt, Billing, and Pernass. The soldiers in the picture were executed after a military trial pursuant to the Hague Convention of 1907. 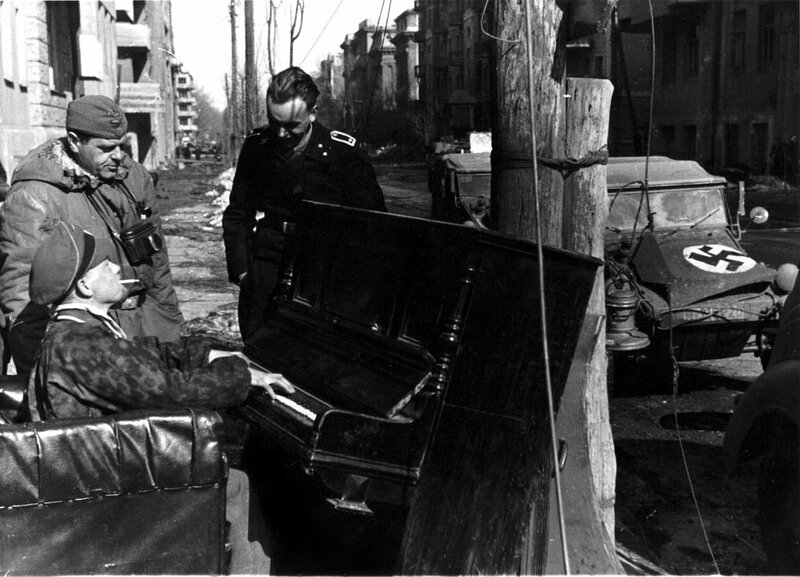 The commander of the operation, Otto Skorzeny, was actually tried after the war – along with a significant number of concentration camp officials and guards, in the Dachau tribunals. 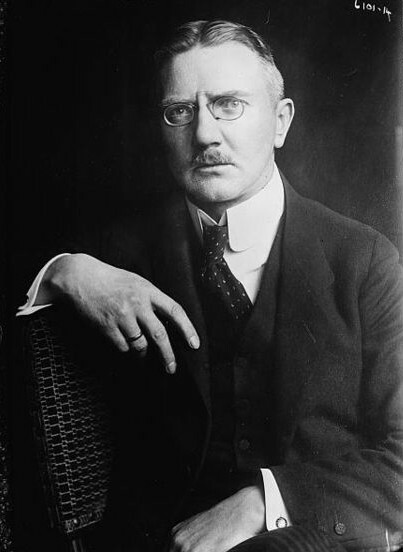 Interestingly, Skorzeny and the other surviving officers involved in Operation Greif were acquitted based on the argument that the German soldiers in American uniforms were not technically ordered to fight (just to spread deception). However, it has generally been accepted that wearing an enemy’s uniform and infiltrating his lines is a great way to get yourself shot as a spy. 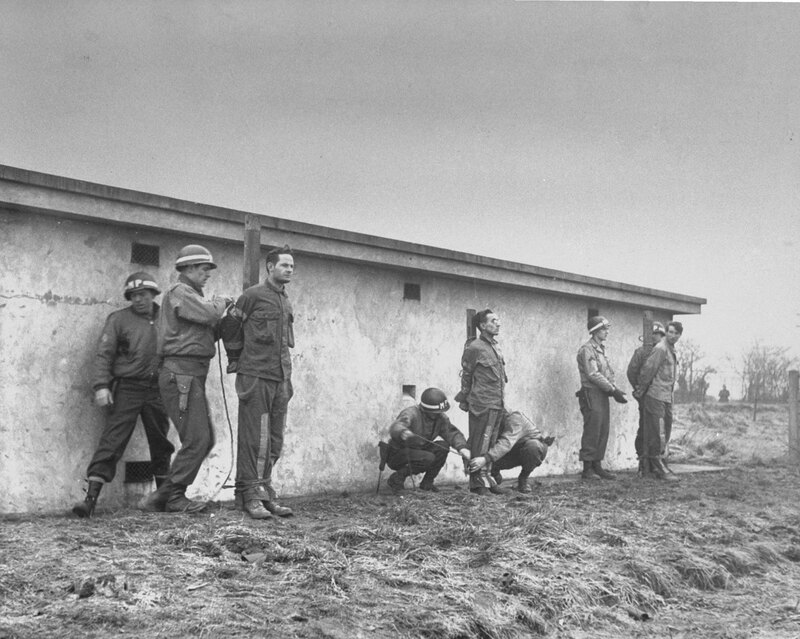 Plenty of concentration camp guards and officials were executed. 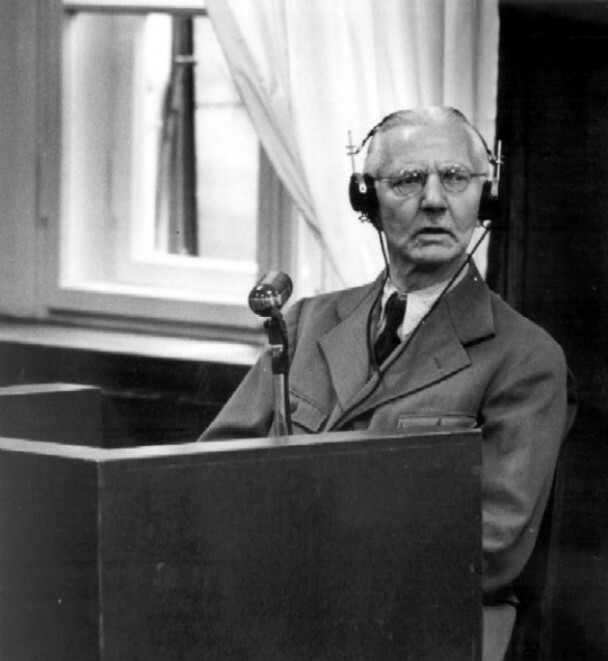 There was also an extrajudicial massacre of concentration camp guards at Dachau, carried out by the troops who liberated the camp. 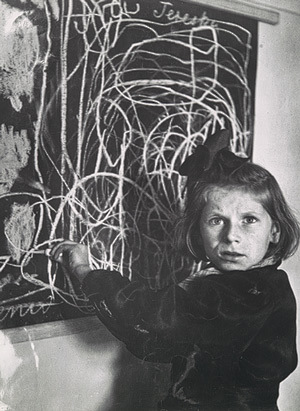 Tereska, draws a picture of “home” while living in a residence for disturbed children; Poland, 1948. This is a fantastic example of the art style known as Art Brut. Collectively, the art of children, the insane, and those who are “outsiders”, this style has been described as a pure or raw form of artistic expression. 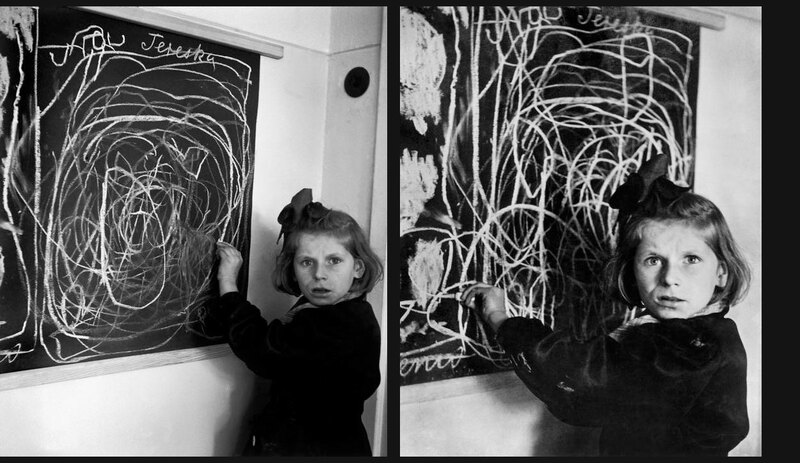 Life Magazine: “Tereska Draws Her Home”, photo by David Seymour, Vol. 25, No. 26, December 27, 1948, p. 16. 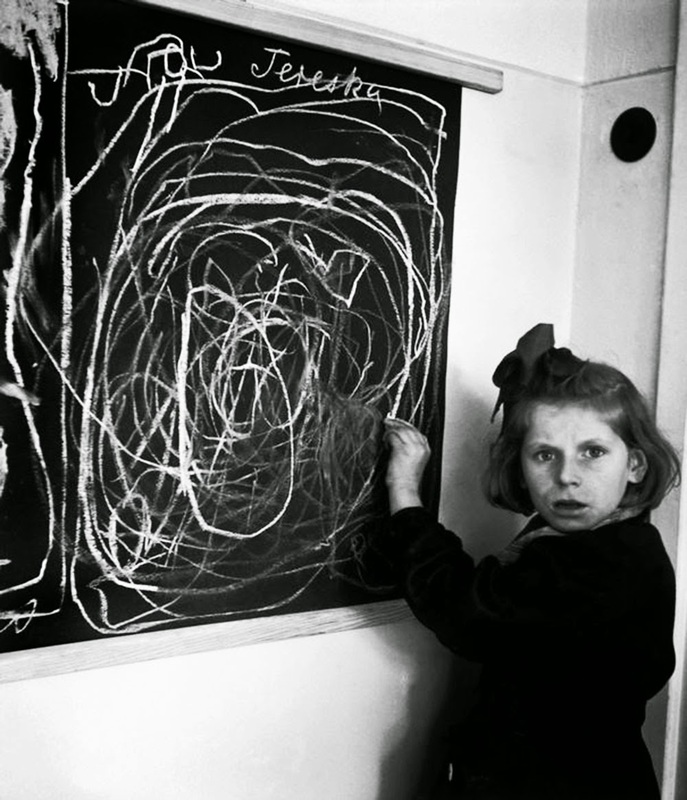 This photograph was taken by Chim (David Seymour) in a home for emotionally disturbed children (Warsaw, 1948). It’s generally agreed upon that the subject, Tereska, was a victim of the Holocaust. This was part of a series on Europe’s postwar children commissioned by UNICEF. Tereska’s family had no idea that her photo is famous around the world and used by psychologists to research what war does to children’s mind. 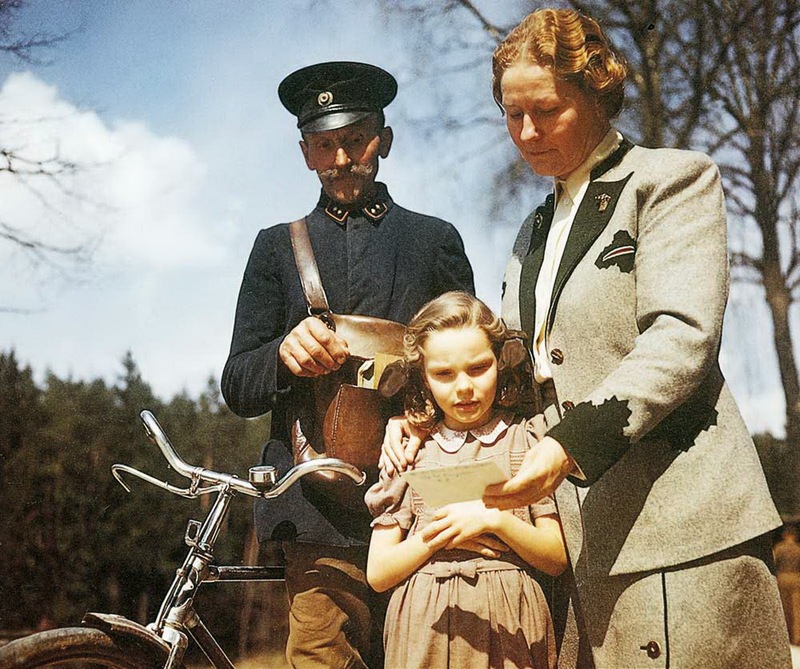 It turns out that Tereska – “Niuńka” as the family called her – has never been to concentration camp. Her drawing may show war, of course, but as children were ask to draw “home” it may show rubble. Tereska’s house was ruined during Warsaw uprising seconds after she and her older sister managed to run away. We don’t know exactly what she experienced since there are no living family members who were there with her, but it happened during Wola massacre so we can just imagine. 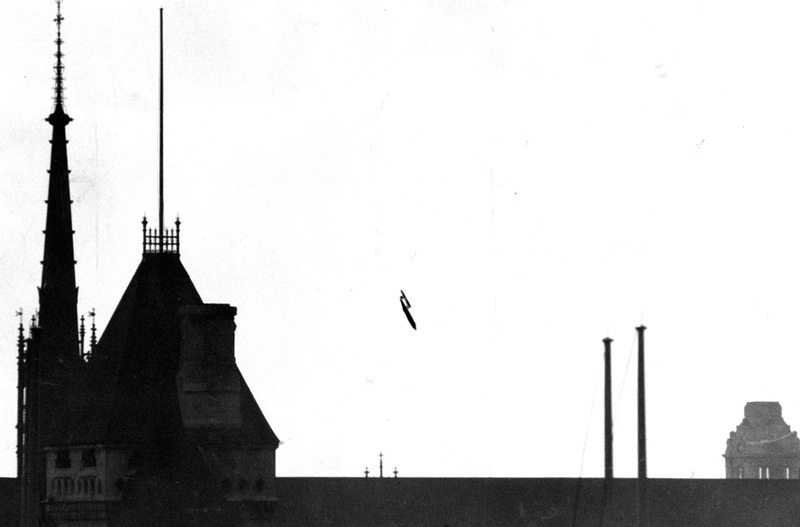 During bombing a fragment of brick hit Niuńka. Her central nervous system was harmed and ever since she had physical and mental problems. Tereska died tragically in 1978 in a mental hospital nearby Warsaw. 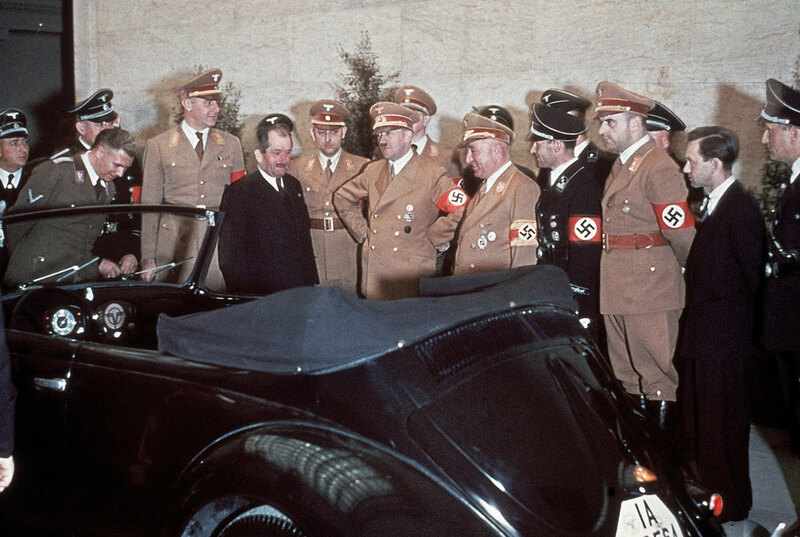 It’s important to note that nobody really hated the Nazi’s until around 1941, and really only intensely 1944. 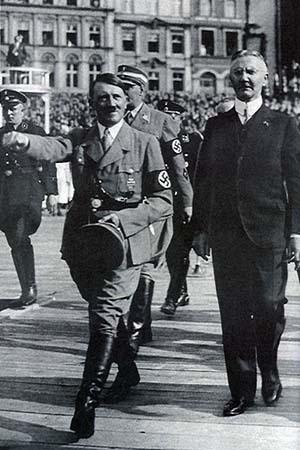 It wasn’t really until after the war that anti-Nazism went into full swing (as a result of discovering/confirming the horrible scope of the holocaust). 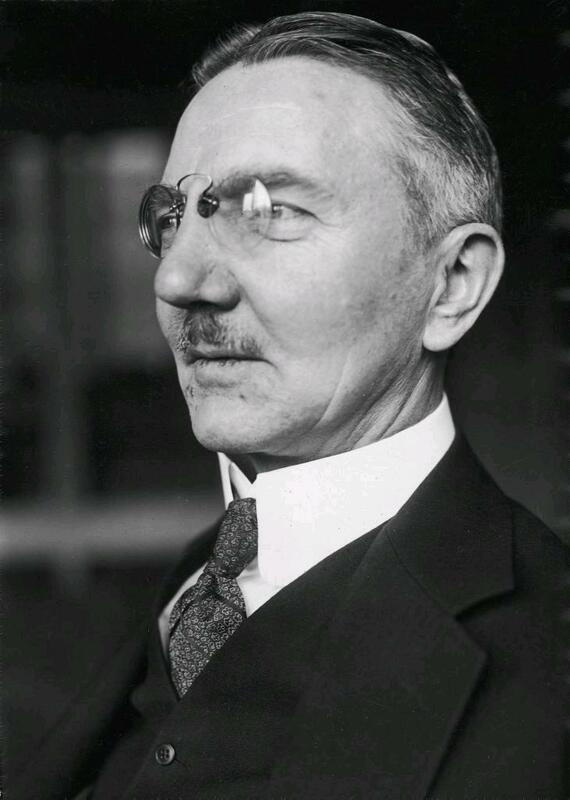 It’s like everyone forgot that major industrialists in the US and western Europe praised the growth the Nazi’s brought German industry and focus it afforded their politics. If they hadn’t committed the holocaust, I really wonder how different their legacy would have been. 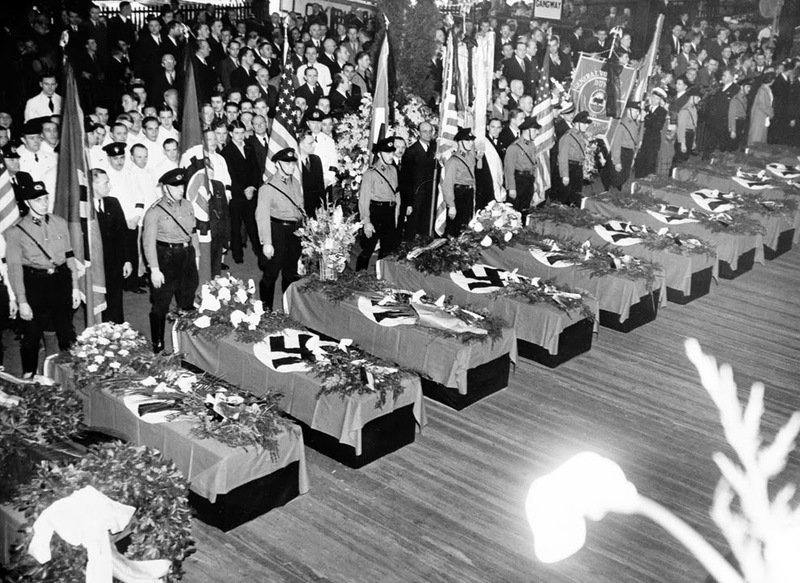 The neo-Nazi’s might have been a modern-day political party. Heck, if they hadn’t invaded Western Europe and focused on the Russians, they might still be around. …maybe they would have founded the European Union themselves – earlier, and included Russia.